It’s not supposed to be a picture perfect night in Kansas City on Tuesday when the World Series is set to open at Kauffman Stadium. With temperatures expected in the mid-50’s, there’s also a chance of rain starting in the afternoon. That could put a damper on the start time of Game 1 between the Kansas City Royals and New York Mets, and it’s already put a damper on the price of World Series tickets before the first pitch. Game 1 in Kansas City is currently the least expensive World Series game TicketIQ has tracked on the secondary market since 2010 with an average price of $494.34 and a get-in price of $196. Over the past six seasons, including this year, no other World Series game has featured a secondary market average below $500, or even $600. The prior least expensive game came in Game 4 of the 2012 World Series between the San Francisco Giants and Detroit Tigers. San Francisco entered that game in Detroit with a 3-0 series lead and would win, sweeping the Tigers in four games for their second World Series title in three seasons. The average price for that game was $739.21. Wednesday night’s Game 2 also has a chance to drop below the average for the Giants and Tigers. The current average price for Game 2 is $745 with a get-in price of $269. Pending the results of Game 1 and the weather forecast, which should be more clear than Tuesday night, the average price is not quite stable. 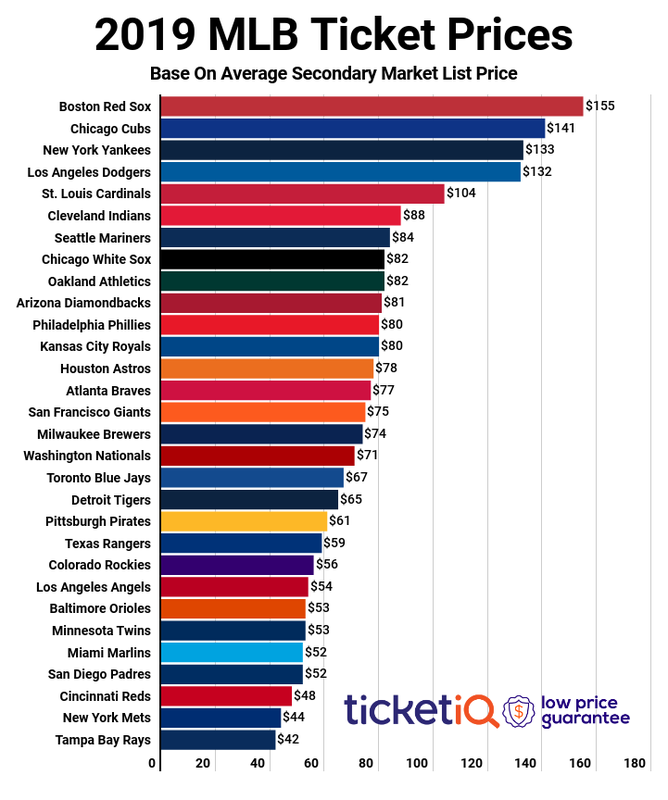 Even with these low prices for the series opening game, the World Series as a whole is still the most expensive TicketIQ has tracked since 2010. That is carried by the Mets, who hold the most expensive home average on the secondary market for the three potential games at Citi Field. If the series should return to Kansas City for Games 6 and 7, the average price jumps back up with both games averaging over $1,300.